1919 Obtained first place in entrance examinations to the ‘Institut Professionel Roubaisien’ in view of studying Commerce. 1922 Obtained a “Presque très bien” (“almost very good”) in final studies for the Diploma. 1922 (August) Entered the Firm of Masurel Fils, Roubaix. 1935 (April) Returned to France. 1935 (August) Travel with Maman on s/s Orama to Melbourne. Rent a flat in ‘Surrey Hall’ in St Kilda Road. 1936 (May 28) Françoise is born. (May 23) Bertrand is born. (Sept.) World War II starts. 1939-1945 I become a wool-appraiser to the British Government with the rank of Deputy Final Appraiser, under the direction of the Central Wool Committee, Melbourne. 1940 (July 30) Jean is born. 1945 War is over. Correspondence with my parents in North France is now possible. 1945 (Sept. 15) Anne-Marie is born. Food in France was still scarce and rigidly rationed, which would not have suited children born in Australia. Leaving Melbourne on 14 February 1946 on Swedish cargo board ‘Wangaratta’, I disembarked in San Francisco, then 5 days train journey to Boston (Massachusetts) calling at Chicago (1 night) and Montreal, Canada, for a few hours. After 2/3 week stay in Boston I cross the Atlantic in 10 days aboard the Swedish Passenger Liner ‘Gripsholm’ arriving at Le Havre. The overnight train to Paris and then on to Roubaix where my dear Parents met me at the railway station. Very moving reunions after 9 years. Conditions in France just after the War were not suitable for our 5 children especially for Anne-Marie who had weak heart (‘Blue Baby’).My dear wife Reine makes the big sacrifice of staying back in Melbourne with the children. I was happy of course to be reunited with my Parents; they had aged considerably over the 9 years since our last visit and my dear Mother had had one breast removed because of cancer. They missed Reine and the children tremendously. I tried to make them happier by promising we would all return together in 2 years time, but my Mother knew in her heart that she would not see them. She died a few months later. Transport back to Australia was very difficult to get. However, as a big wool shippers, Masurel had some influence with shipping companies and eventually I secured accommodation on the Dutch cargo ‘Aagtekerke’ scheduled to leave from Antwerp early July 1946. The last Sunday before the sailing date, my parents-in-law together with Félicie, Henri, René, Suzanne etc. came to my parents’ home to say goodbye and wish me ‘bon voyage’. Next day I went to the office in Roubaix to say goodbye to Messrs Masurel and the staff. On arrival at the office I was told by telegram the Aagtekerke had ben blown up by a mine before arriving in Antwerp. My trip back to Australia was therefore written off. I sent a cable to Maman to say that I was all right; unfortunately it took 2 days to be delivered and as the newspapers in Melbourne had reported the disaster to the ship without noting whether it was on arrival or departure Maman did not know whether I was alive or not. Eventually the telegram arrived and Maman and the children were reassured. I then had to find another means of transport. Wool-buyers enjoyed a certain V.I.P priority then and actually 6 weeks later or so, I was allotted a seat on a Lancastrian plane from London to Sydney. That plane carried only 5 passengers: 3 generals and 1 admiral going to India besides me; it was a heavy bomber that had been converted to passenger transport. We left Heathrow airport, landed in at Lydda (Palestine) for refueling then New Delhi where the other 4 passenger alighted; they were all high Senior officers of the British Navy, Army and Air Force. From New Delhi to Singapore I was the only passenger. We went through a typhoon during the night; rain was seeping through the cowling. I was tossed up and down for hours; ‘George’ the automatic pilot was destroyed and the Captain had to pilot the plane manually himself right up to Singapore, but we made it. After a few hours stopping at Singapore we restarted again the plane being full up again and the next day we landed safely in Sydney. Maman came by train to Sydney to meet me and we were reunited again. It was a happy moment. Back in Roubaix the “au revoir” with my Parents was very sad. My Dear Mother who had been operated for breast cancer must have felt she would not see me again and I also feared the worst, which was to happen a few months later (16 December 1946) after much suffering. I was very sad with the news, we had always been very close, my Maman and I, and I felt the loss very much indeed, and as I write now 34 years later I very much wonder if I have been as loving and devoted to her as I should have been when she was alive. The only redeeming feature is that when young and having a long life before you, the idea of your Parents (and mine) passing away does not simply occur to you, until too late. 1947 Anne-Marie who was I think Blue-baby does not progress satisfactorily, later in the year she becomes sick; Dr Fitchett looks after her well but her weak condition cannot resist and one day in November, she passes away in my arms while I try to give her “the kiss of life”. A little Angel gone to heaven where we pray and hope she will intercede for her loving family. Our whole family goes for a trip to France and we stay mostly with my Father is then 73/74 years old and suffering some blood circulation problem. He is to fragile to come to Australia with us; 1 month on board at the time of monsoon in the Indian Ocean and usual rough weather in August in the Great Australian Bright plus the heat in the Mediterranean, the Red Sea and down to Cocos Islands would be too much for him. He goes back to Bruyelle where he was born, to live and be looked after by his nephew Henri and Henri’s wife Emilia. It had always been my Father’s wish to return to Bruyelle after retiring. 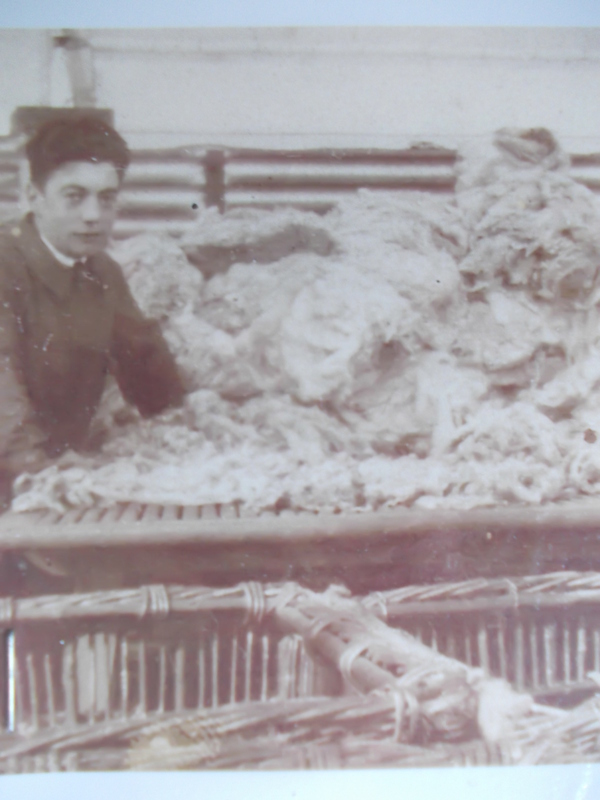 Between 1948 and 1966 I carried on my work as a wool-buyer and Melbourne Managing-Director for Masurel Fils (Australia) Proprietary Limited as the Firm was called since 1941. We had several trips to France (1950, 1953, 1955,1958, 1961, 1963) sometimes with the children, at other times with this one or that one depending on schooling or career requirements. 1966 (March) René and Wendy are married. 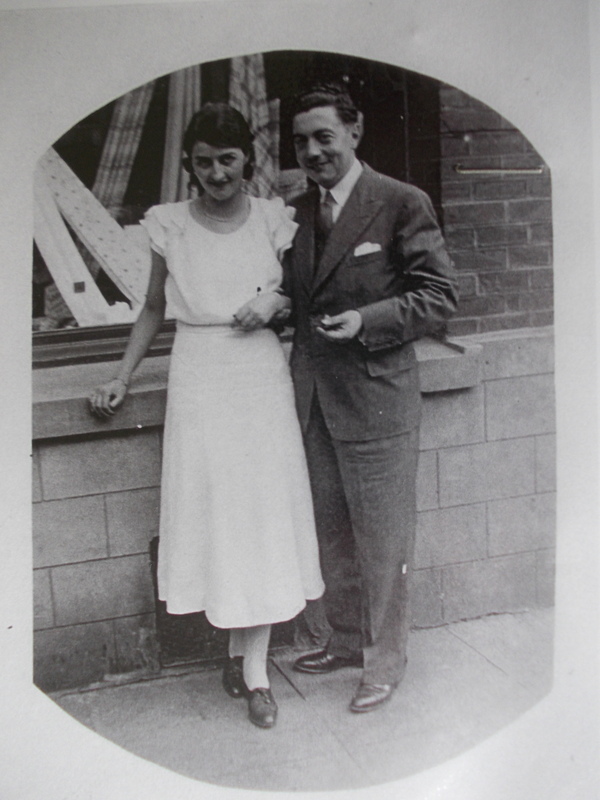 (June) Françoise and Peter are married. our Son Jean entered the Society of Jesus as a novice and remained until I think1968. Later on he became a Bachelor of Arts (degree with Honours) and at taught at Whitley College, Parkville, (Victoria). He later joined the Public Service (Foreign Affairs) stationed in Canberra for 1 year. Some time later he became a Seminarian for the Archdiocese of Melbourne at Clayton and obtained a Master of Arts Degree and later on a degree of Bachelor of Divinity (degree with Honours). He was ordained a priest in 1974 and towards the end of that year was appointed Assistant Parish Priest at Glenroy Corpus Christi Parish where he remained for 3 years. Masurel’s Principals decide to close down some of their establishments: viz. Australia, Argentina and Uruguay. As I had just turned 60 I declined the position offered to me with another wool-buying firm called Kreglinger & Co where I would only be a rather junior executive. Instead I offered to help Bertrand with clerical jobs at Dulane Proprietary Limited. My offer was readily accepted and I returned to Melbourne by myself in September while Maman stayed a while longer in France to return by ship in November. I went to Adelaide to meet her and we completed the journey together to Melbourne. 1969 (May) Bertrand and Angela get married. 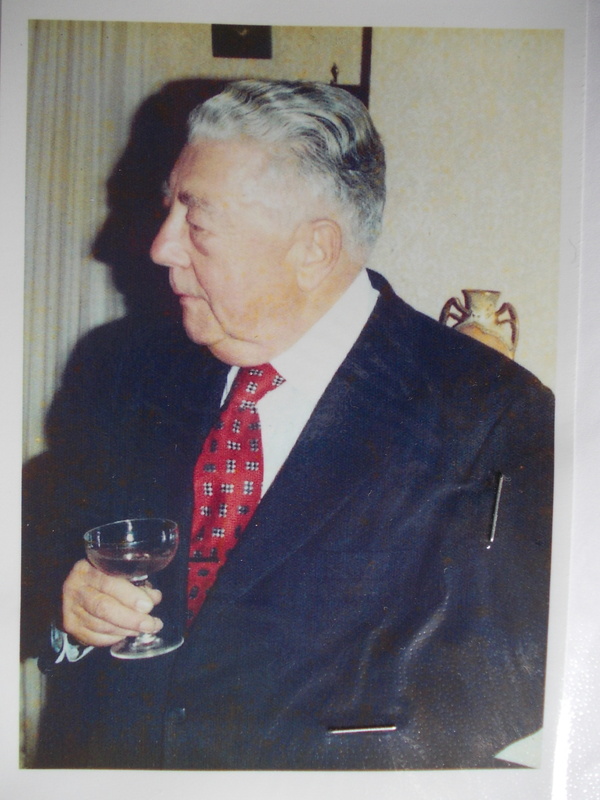 1968 We travelled back to France by s/s Galileo to be present at Grand-Ma’s (Maman’s mother) 100th anniversary. We flew back to Australia. 1972 We flew to France and travelled to Denmark with Félicie and her second husband, Alfred. 1974 (Dec.) Félicie dies at a Lens Hospital (or in her own home after being in hospital; I am unsure). 1975 We fly to France for 3 months and return to Australia. At the time of my typing this, we are the proud parents of 4 children surviving: Françoise, René, Bertrand, and Jean, and grandparents of 12 grand-children and in February next year, God willing, the 13th in the home of René and Wendy.